Good Morning! I hope everyone had a terrific weekend! 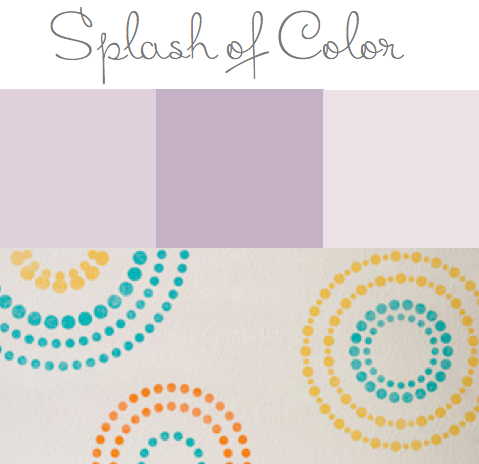 Last week, we spent the entire week looking at gorgeous nursery designs. What a great way to welcome each special baby to this world! 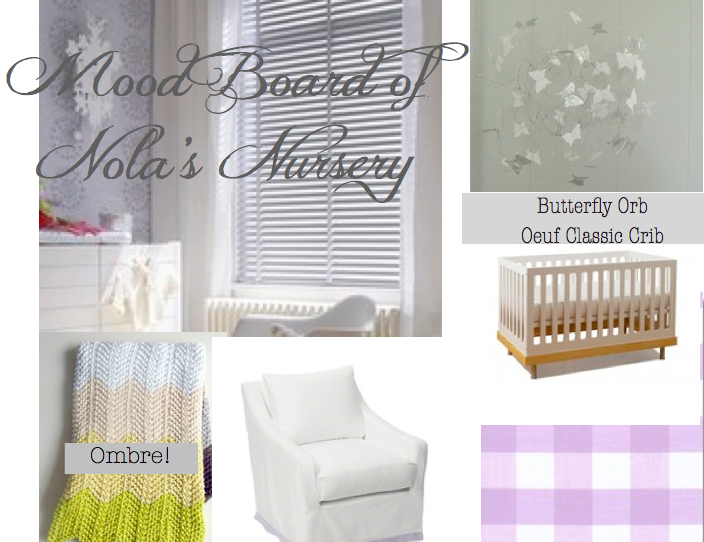 As promised, here are some of the visual inspirations for Nola's nursery and a mood board that's still evolving --but showing some of the ideas and things we hope to incorporate in the final design. First, our color inspirations - lilac, lavender, orchid, bits of grey and tons of white. 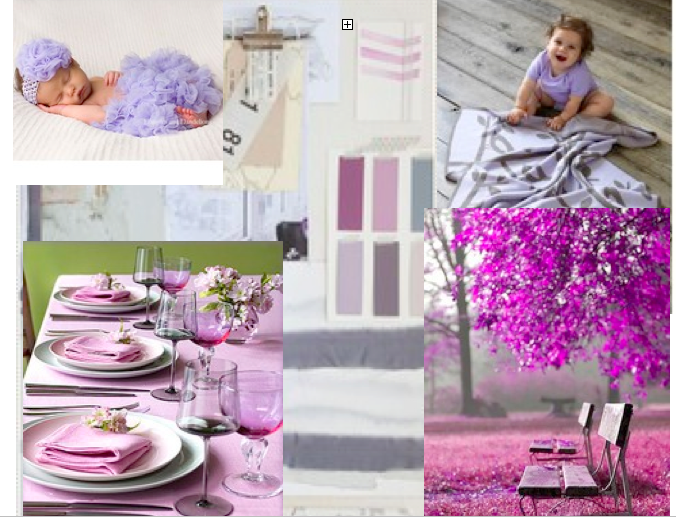 We plan on getting white drapes and sewing on pom-pom trim in sweet wisteria from the cutest online shop, sugarpinkboutique. Dreaming of a white glider with lavender trim from Serena and Lily, the sweetest little lavender gingham fabric from FabricDirect to make a changing table cover and toss pillow. I also intend to try my hand at crocheting an ombre blanket in shades of silver to grey for the crib like one I saw on Pinterest. Maybe, my Mom will take pity on me and make it! I hope you're reading this Mom! We also have plans for art work, shelves, and other goodies, but that will have to wait for another day! So be patient! By the way dear reader, I hope your day is terrific! If you live in New England, we are in for a rare treat - high 60's in November! I guess I'll have to finish fall cleanup today -- no excuses! I just found these! Check out these lilac lollipop lights. 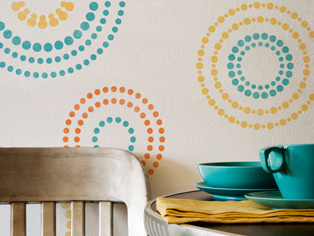 Aren't they just the cutest to light up the nursery?